View More In Ceiling Mounted Storage Racks. 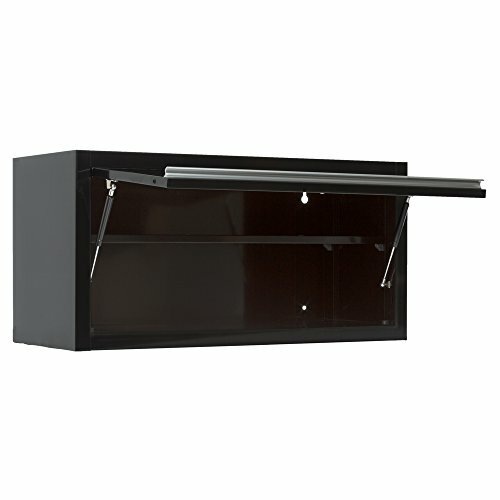 This 36-inch cabinet is constructed from durable 18G steel, and features dual gas struts, cam lock with keys, adjustable shelf, extruded aluminum door pulls, and pre-drilled holes for easy wall mounting. Heavy-duty construction makes this wall cabinet appropriate anywhere from home to the workshop. Overall dimensions: 36-Inch wide by 14-15/16-Inch deep by 17-7/8-Inch high. Weight: 57-Pound. If you have any questions about this product by Viper Tool Storage, contact us by completing and submitting the form below. If you are looking for a specif part number, please include it with your message.